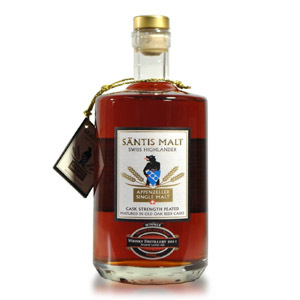 Trader Joe’s, via independent-bottler-to-the-Big-Box-stars Alexander Murray & Co., has released a few interesting whiskies (and a few duds) and generally has decent prices on various types of whiskies, for a grocery store anyway. I saw this one, plus a 12 year-old Highland malt, each for $30 and snagged both. While the label does not give any hints about the distillery (par for the course with Alexander Murray), the Trader Joe’s Fearless Flyer spilled the beans on both bottles by revealing the distillery locations. This one, located “on the banks of the River Lossie” can only refer to Glen Moray (although Glenlossie/Mannochmore comes close). This bottle came from a batch of barrels (1500 cases made means 9000 bottles means 6750 liters at 40% ABV means roughly 4500 liters at cask strength means somewhere in the neighborhood of 22-25 ex-bourbon barrels). Note: I’ve chosen to release both tastings today, so if you missed the other one, click the link. 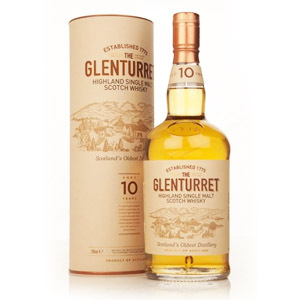 I can only guess that a batch of Glen Moray was deemed too nasty to participate in current owner La Martiniquaise’s Label 5 blended scotch brand and instead sat around for another couple of years, reaching the ripe old age of 13, until Alexander Murray came calling. The Glen Moray is aged in ex-bourbon casks. 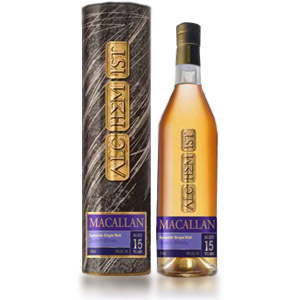 (The bottle says “Matured in Oak Casks”. Duh.) 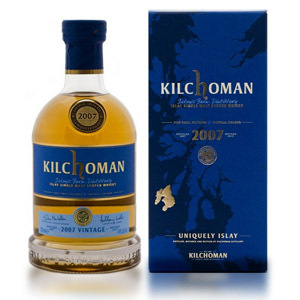 It was distilled in 2002 and bottled in 2015 at 40% ABV after 13 years of aging. I found it at Trader Joe’s in California for $30. Nose: Faint orange peel. Nutty nougat. Otherwise a pretty standard malty ex-bourbon aroma (cereal grains, faint vanilla, etc.). Palate: Thin body. Marzipan. A little bitter (wood char), but mostly bland. Finish: Short. Oaky and nutty. Not much sweetness or individuality. Fades with a bitter note (like rancid walnuts). With Water: A few drops of water add nothing interesting to the aroma, nor the palate. They might make the finish a little more crisp. Maybe. Overall: Bland, and somewhat bitter. Not a successful malt. This should probably not have been saved from the mountain of “blending fodder” barrels for which it was no doubt originally destined. There are no redeeming florals, fruits, or even cloying sweets. Instead, it mostly just tastes like insipid wood and alcohol. If you’re standing in a Trader Joe’s on a smartphone right now, trying to make a decision, I’ll make it for you: Get the 12 year-old Highland (psst! It’s from Deanston) instead. Is the 2001 14-year the same as the 2002 13-year? Hi KD, No – they are different whiskies from different distilleries. 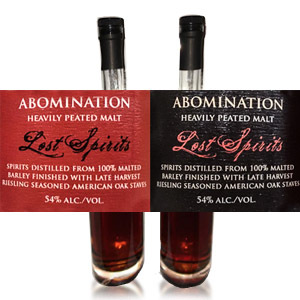 Independent bottlings like this one take batches of barrels (unknown how many at a time – could be dozens or even hundreds) from the same distillery and of the same age and combine them and bottle them under their own (in this case Trader Joe’s) label. If the years or ages are different on two different bottles, then they’re definitely different batches. If they have different distillery names or regional names (like Highland vs Speyside), then they’re definitely from different distilleries too. Cheers! Awesome, thanks for your reply Scotch Noob! I’m a total noob myself: the TJ’s 2001 14-year first bottle I’ve ever bought myself. I didn’t think it was bad, but when I read your review on the 2002 13-year, I started to feel bad about my palate. I’d be interested to hear your opinion on the 2001 14-year. I’d like to have a reference point for my sense of taste. KD I just found a bottle of this. 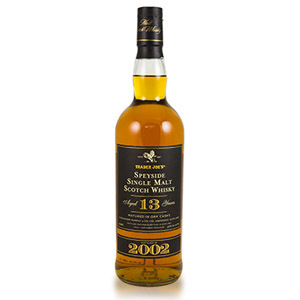 Not sure about the 13 year but I thought this 14 year is pretty good for the price. Cant find any information on this bottle on the web though. Unlike other bottles there is nothing I can find on this bottle.